Poetry. Environmental Studies. California Interest. Foreword by Dana Gioia. Introduction by Jack Foley. More than 250 poems by 149 contributors, including Ellen Bass, Christopher Buckley, Alison Hawthorne Deming, Camille T. Dungy, Ann Fisher-Wirth, Rebecca Foust, Dana Gioia, Rafael Jes's Gonz lez, Emily Grosholz, Robert Hass, Brenda Hillman, Jane Hirshfield, Ursula K. Le Guin, Gary Snyder, and David St. John. "Day and Nolan have done a considerable service to select and gather these poems. 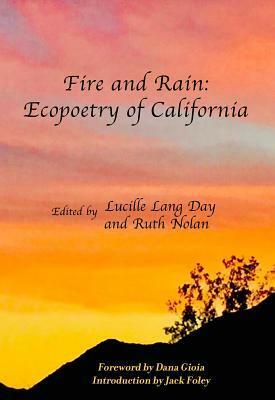 Their ample anthology provides a generous record of California poets' love and concern for their common world. What more important theme can we in this golden land share?" --from the Foreword by Dana Gioia.